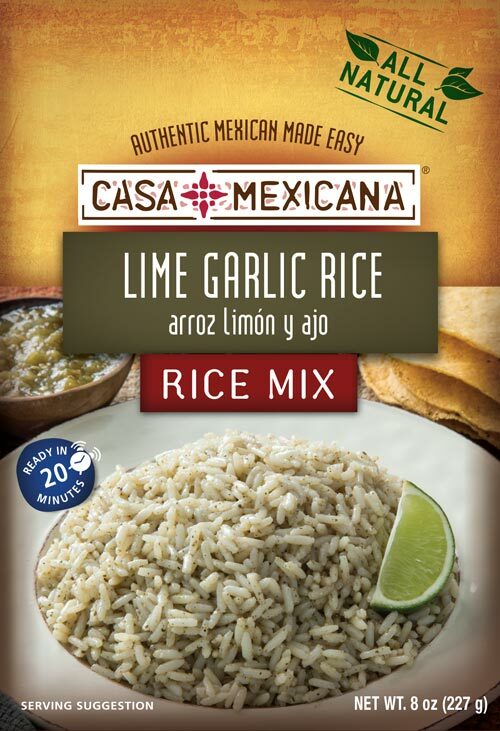 INGREDIENTS: Enriched Parboiled Long Grain Rice (Niacin, Ferric Orthophosphate (Iron), Thiamin Mononitrate, Folic Acid), Salt, Granulated Garlic, Granulated Onion, Lime Juice Powder, Corn Meal, Cumin, Sugar, Yeast Extract, Spinach, Maltodextrin, Hydrolyzed Vegetable Protein, Cilantro, Dehydrated Chicken, Natural Flavor, Sodium Aluminosilicate (to prevent caking), Turmeric, Parsley, Celery Extract, Pepper. Made on equipment that also handles wheat, milk, soy and eggs. Complement any Mexican dish with slices of avocado or a side of guacamole. Besides being tasty and eye pleasing, avocados are a rich source of good monounsaturated fat for overall health benefits. When selecting your avocado, choose one that is consistently firm or soft all over — no bruises or soft spots. Prevent the avocado from browning by leaving the pit in the bowl with the chopped or scooped avocado, or squeeze a little lime over it and then cover it in plastic wrap. Copyright © 2019 Dream Foods International, LLC - All rights reserved.